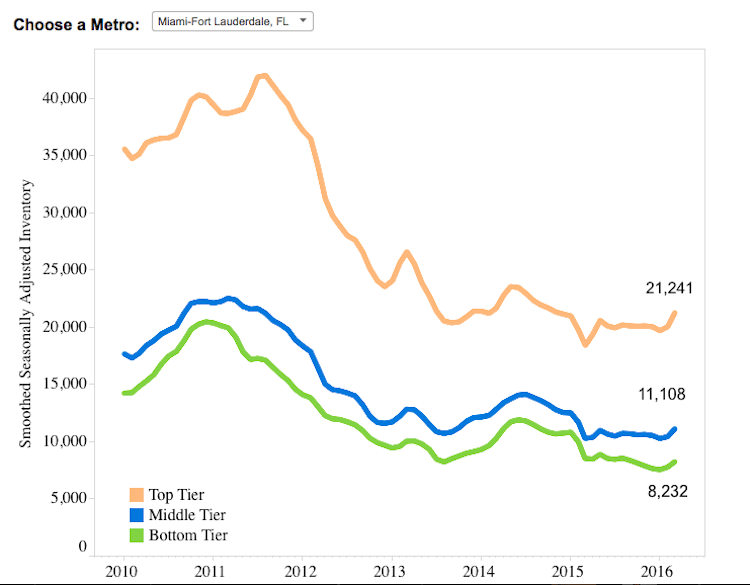 Despite national trends, inventory in the Miami/Fort Lauderdale metro area rose overall. Although bottom-tier inventory fell 3.6 percent, middle and top-tier inventory increased 7.8 and 15.4 percent, adding up to 40,561 listings in the area. 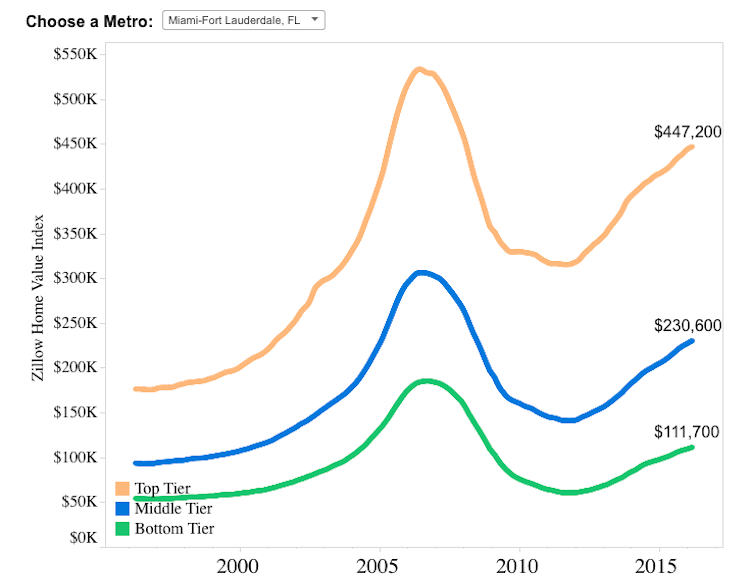 Despite national trends, inventory in the Miami/Fort Lauderdale metro area rose overall. Home values in Miami and Fort Lauderdale increased across the board. 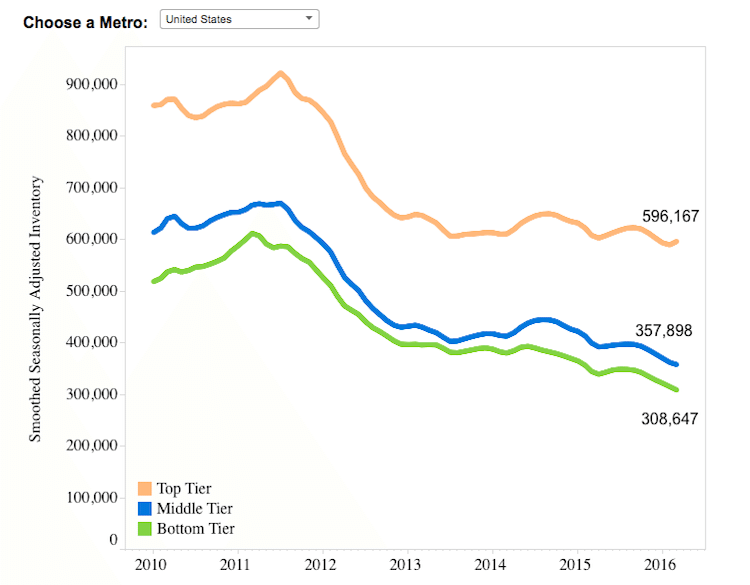 The ZHVI of bottom, middle and top-tier homes in the metro area rose 11.7 percent, 10.5 and 6.3 percent, respectively, to reach an average of $230,600.